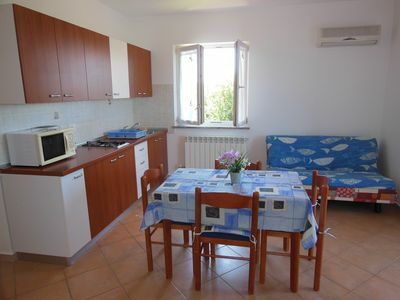 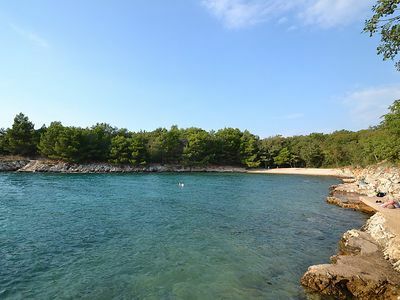 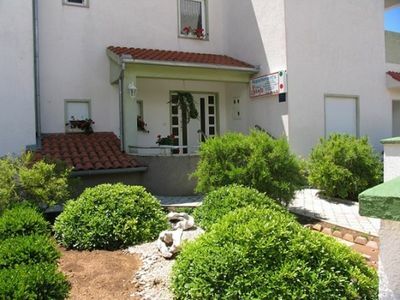 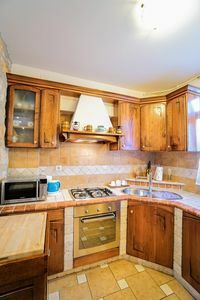 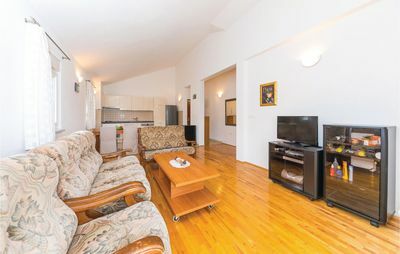 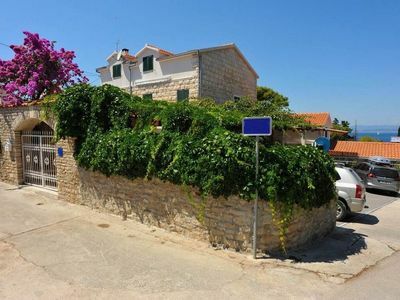 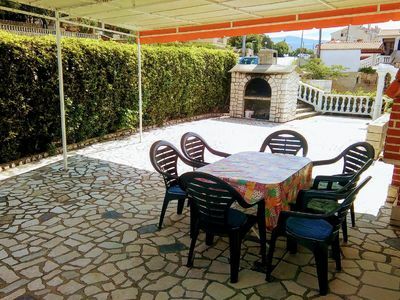 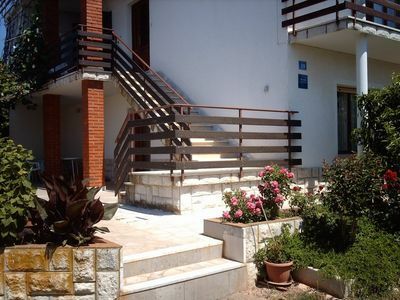 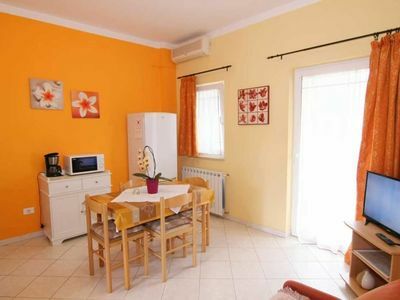 Casa Moderna in Pula is located just three kilometers from the city center. 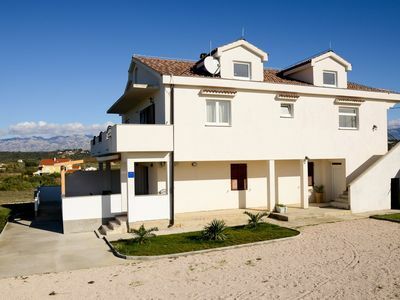 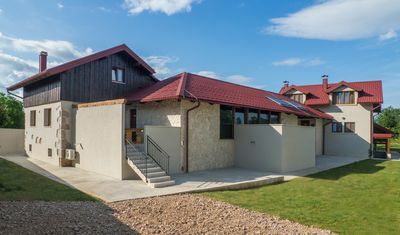 This modern house with swimming pool offers accommodation for up to four people. 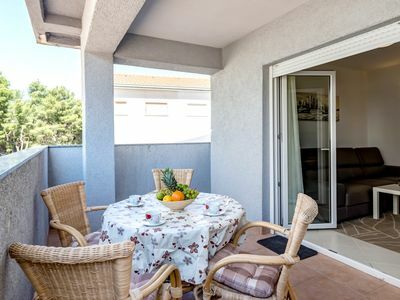 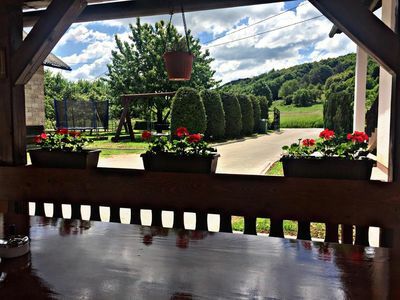 With a specifically shaped swimming pool, which is completely encircled by a wall in order to ensure a carefree vacation without prying eyes, guests have also access to a separate room with exercise equipment and a playroom for children. 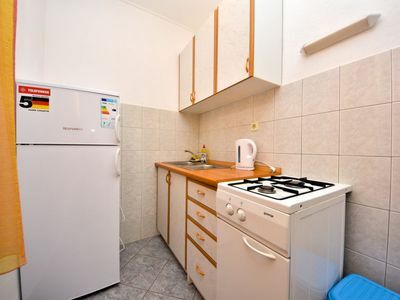 The house is decorated on the ground floor, and all rooms are tiled. 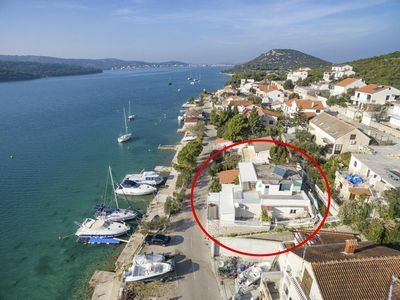 This modern house in Pula stands out thanks to the bold design with straight lines and striking colorful details, such as the attractive soft sun loungers by the pool.